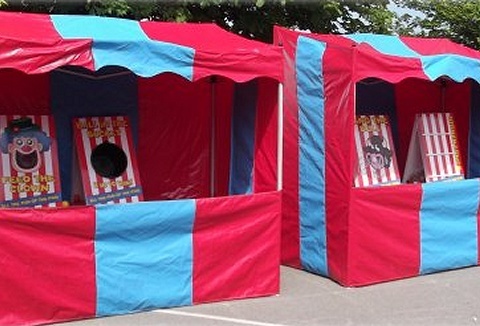 Our traditional fairground striped style side stalls are an opportunity to bring all the fun of the fair to your own funday, party, or promotion. 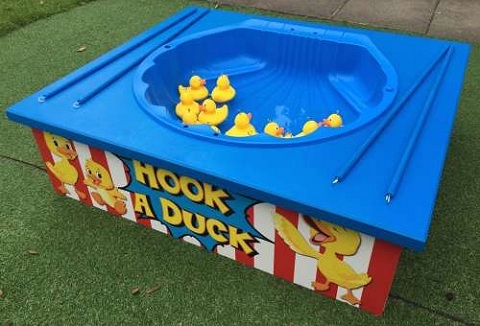 Hire from Hook a Duck, Ball in a Bucket, Coconut Shy & lots more. Uniformed staff run the attraction for you. 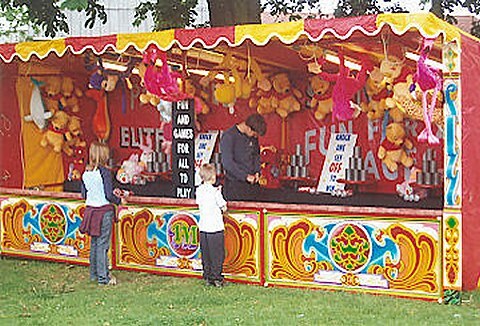 We hire and manufacture traditional side stall games, side stalls, fun fair games, hook a duck, splat the rat, skittle alleys and more. Suitable for all types of indoor and outdoor events, all year round. Visit our website or contact the team for advice. Are you organizing an outdoor public, corporate or private event? 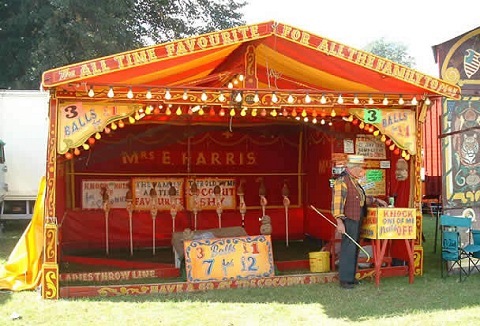 We can supply a wide range of side show games and stalls including the traditional coconut shy, hoopla, tin can alley or try your hand at our slot of fun arcade stall. Operated by staff.